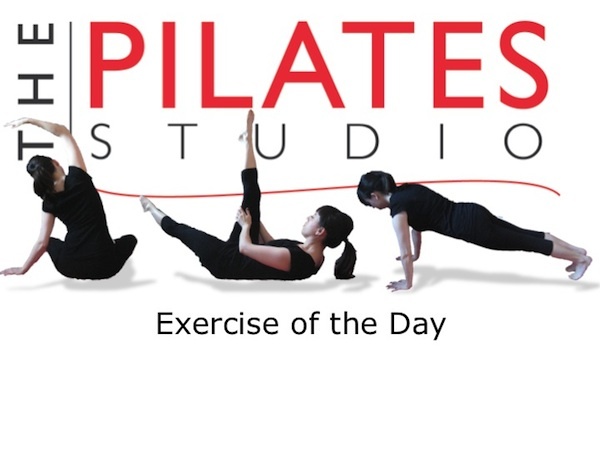 This exercise provides support to the head, neck, and shoulders while still allowing the deep abdominal muscles to be challenged by the long lever arms of the legs. To do this exercise you will need a mat. Start by lying on your back with your hands interlaced behind your head and your feet and legs reaching straight up to the ceiling. Inhale to prepare and then exhale as you lift your head, neck, and shoulders and lower one leg towards the ground. Exhale as you switch your legs again and then inhale as you switch and then repeat the inhale as you switch again. Repeat for eight to ten breath cycles, and then lower the head, neck, and shoulders to the ground. When using your hands you have the opportunity to feel the deep neck flexors without over recruiting. Imagine that you are lengthening the back of your neck and think of the hands as a hammock for the head.